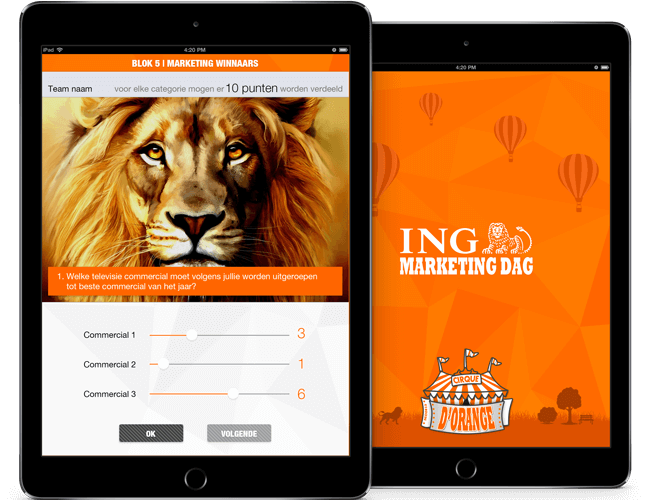 DTT has developed a game app with a significant ‘fun factor’ to support the ING Marketing day. 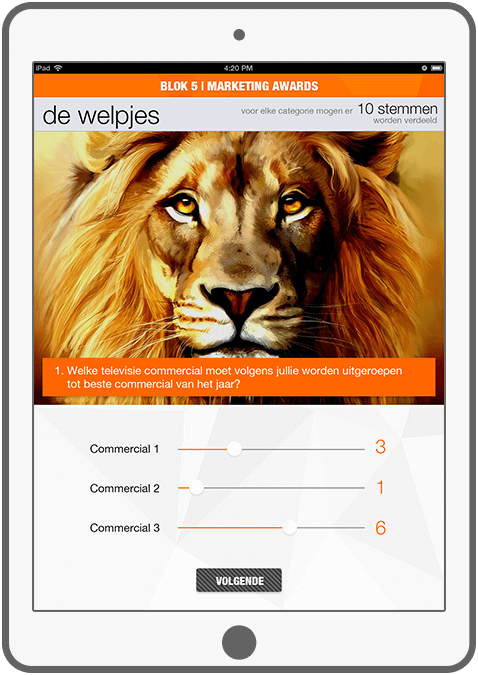 The app features several parts: the introductory round, the knowledge quiz, the marketing awards and the word game derived from the popular Dutch tv program "De slimste mens" (The smartest person). The knowledge quiz challenges teams to answer exiting and funny questions. Teams gain points by giving the correct answers. In the marketing awards part, teams have to complete several polls. 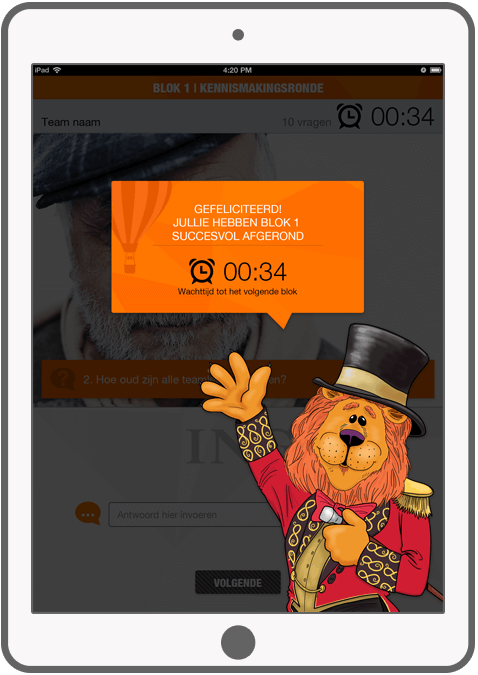 Each part of the ING Marketing day app has a time limit, so teams have to be quick in their actions. The goal of the game is to score as many points as possible within the limited time. These points, rankings and other relevant information are a 'live' insight into the organization of the ING Marketing day. Winners are chosen in a democratical way - teams vote for the (pre) nominated ING marketing Tigers (specialists). 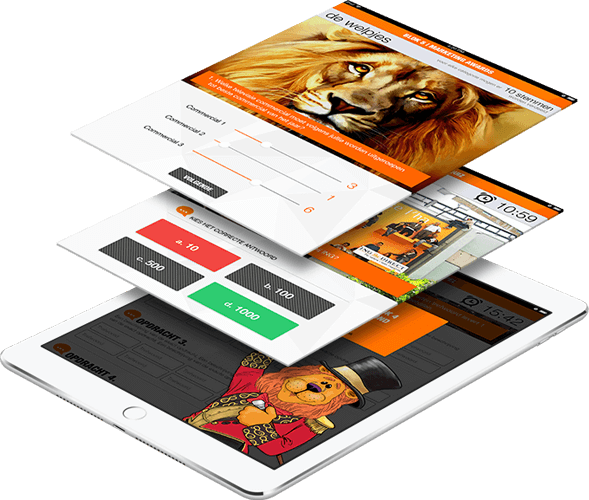 Visit the ING website for more information. Each team introduces themselves and answer interesting questions about the group in an introductory round. Round finished and a countdown to the next one. 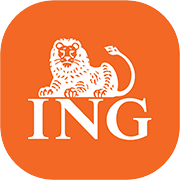 The knowledge quiz features challenging and funny questions about ING. Work together in an interactive way by giving the iPad to your colleagues. One of the teams is declared a winner, based on polls in the marketing awards part.